A beautiful, modern and spacious cafeteria is located close to the administrative block. This is a place where students relax and enjoy to have fun. Open from morning to evening, the cafeteria provides hygienic and delicious food to the students at affordable rates. 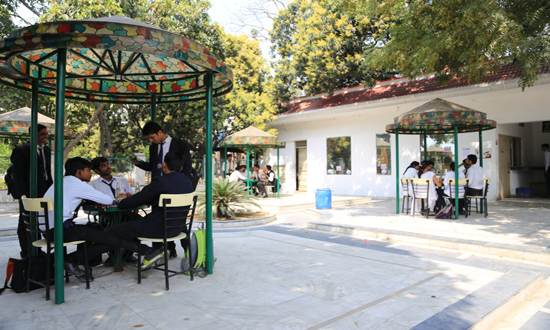 Cafeteria is a place for relaxation and discussion among students of various disciplines of the college and it helps in personal and mental growth of the students.